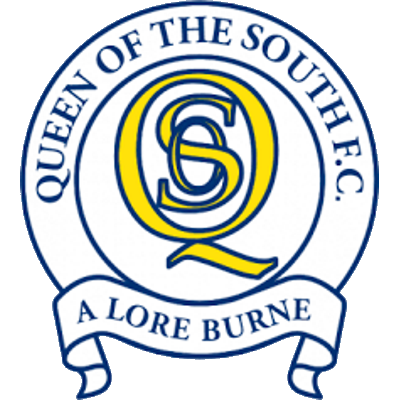 United gained their first league win of the season at the second attempt with a badly needed victory in Dumfries against Queen of the South after a dominant first half performance. The Doonhamers got back into the game in the second half but United did enough to see the game out and gain a vital three points. Manager Csaba Laszlo made three changes from the previous week’s defeat against Dunfermline, with new signing Pavol Safranko going straight into the starting line-up. Paul Watson also made his first start for United, with Fraser Aird returning to the starting eleven. The players to drop out were Craig Curran, William Edjenguele and Sam Wardrop as United started the game with three at the back, a formation which worked well in the first half. Despite their recent bad form, United started the game on the front foot, winning three corner kicks in the first couple of minutes. However, the first shot after seven minutes came for the home side, although Andy Stirling’s shot was easy enough for Matej Rakovan to deal with. A minute later saw United’s first chance when Yannick Loemba, playing in a free role behind the two strikers, played a cross to the far post to Nicky Clark but the striker’s effort across goal went just wide. 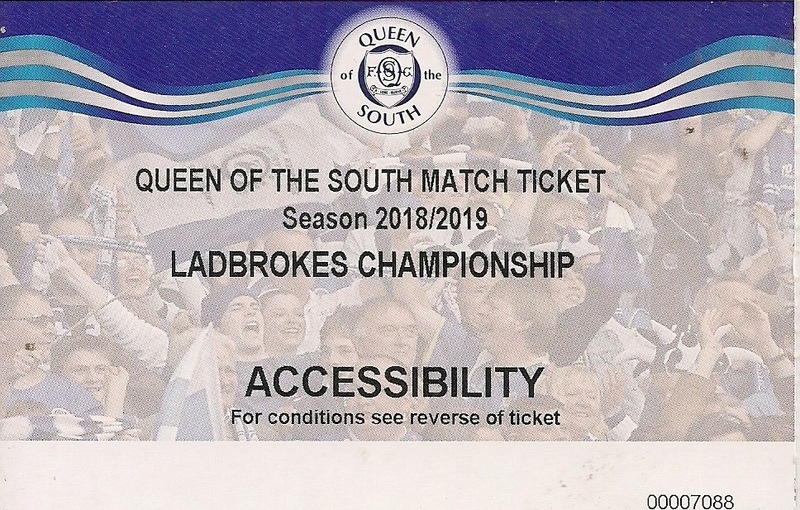 Queen of the South broke up the park and created a chance of their own when Josh Todd put in a dangerous cross which Frederic Frans did well to clear. The frantic start continued when almost immediately after that chance United won a free kick 40 yards from goal. The cross was booted clear, but as the ball was played back into the Queens box Pavol Safranko had a low effort which was saved by home keeper Alan Martin. 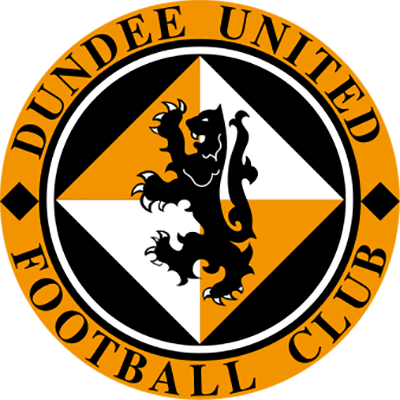 Dundee United’s positive start to the game was rewarded with the opening goal after 15 minutes. Sam Stanton picked the ball up on the right-hand side and drove inside towards the penalty box. He cut inside and hit a low left footed shot from around 20 yards out. The shot flew into the corner of the net past Alan Martin to give United the lead. The goal seemed to rouse the home side and they created a couple of chances in response. They hit the away side on the break from a United corner kick, where Michael Doyle was able to drive forward against the backtracking United defence. Matej Rakovan was able to clear the ball, but only as far as Lyndon Dykes, who tried to play in Stephen Dobbie. However, Christophe Rabitsch was able to intercept the ball before Dobbie could get there. 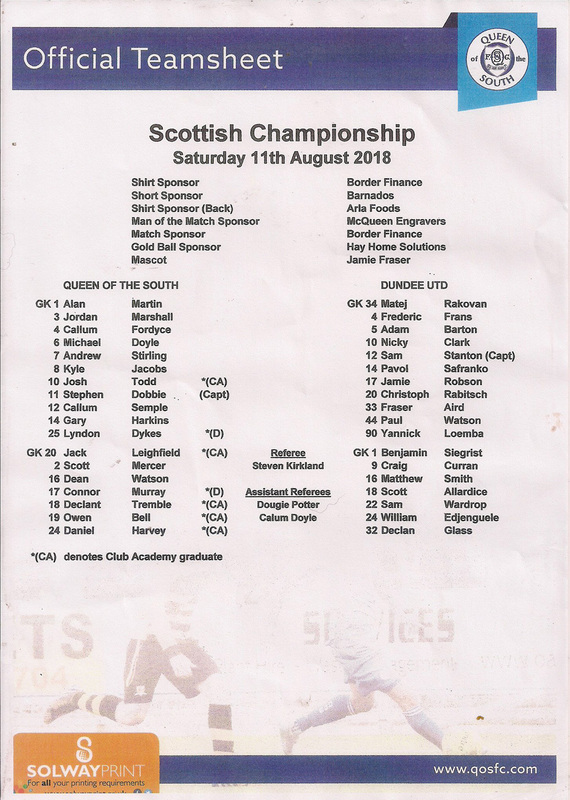 Former Dundee player Gary Harkins then saw a free kick saved easily by Rakovan as Queens chased an equaliser, followed soon afterwards by a Stephen Dobbie shot which was saved by Rakovan after the striker was played in by Harkins. Despite these chances, United were playing the better football, and the second goal duly arrived midway through the first half. Some lovely one touch passing in midfield created the chance, and a ball from Frederic Frans was played towards debutant Pavol Safranko, who took the ball wide on the United left and as Alan Martin came out of his goal to challenge him the Slovakian striker chipped the goalkeeper from an acute angle close to the touchline to score his first United goal. United were comfortable for the rest of the first half, as by this stage they were significantly the better team. On the half hour mark United should have scored a third goal, after a superb reverse pass from Yannick Loemba played in Jamie Robson, but the left back’s finish was weak and the ball bobbled wide. Loemba was later played through on goal himself, however he began his run slightly too early and was in an offside position when the ball was played. Gary Harkins was then booked for a challenge on Matej Rakovan, and that was the end of the first half action with United 2-0 up at half time and looking comfortable. Given United’s recent record, despite the scoreline at half time the United fans could not be blamed for still being nervous, especially given that Queen of the South had already come back from a two-goal deficit twice this season. The home side did come out for the second half with more purpose, and whether by accident or design United were getting more and more defensive as the game went on. Andrew Stirling was the first to threaten in the second minute of the half with a fine run on the left, but Matej Rakovan easily claimed the cross. Paul Watson later cut out a cross from Stephen Dobbie, and Fraser Aird was forced into a rather agricultural clearance as the home side sought to pressurise United. With ten minutes gone in the half, United almost claimed their third goal as Yannick Loemba stole the ball in midfield and broke forwards. He ran down the right but his low cross just evaded a couple of United players in the middle and the ball drifted harmlessly out of play. On the hour mark, an astonishing triple save from Rakovan kept his clean sheet as he firstly saved a Stephen Dobbie shot from the edge of the area. He then got back to his feet to block the rebound from Gary Harkins before then stopping the follow up shot from Lyndon Dykes. However, his clean sheet was only to last a further five minutes as Queen of the South got back into the game. It was created when Kyle Jacobs broke down the right without challenge. He got to the goal line and crossed the ball to Stephen Dobbie at the back post, and the striker made no mistake to knock the ball into the net. Given the fragile morale surrounding the club, the last thing United would have wanted would have been a nervy finish, but that goal guaranteed that was what they would get. Adam Barton did not help the collective blood pressure of the United support by attempting a turn on the edge of his own box, after which he was caught in possession and fouled his man as he attempted to retrieve the situation. Luckily, Gary Harkins hit the subsequent free kick well over the bar. The finish of the game was a rather tetchy affair as United tried to see out the game with a bit of gamesmanship. 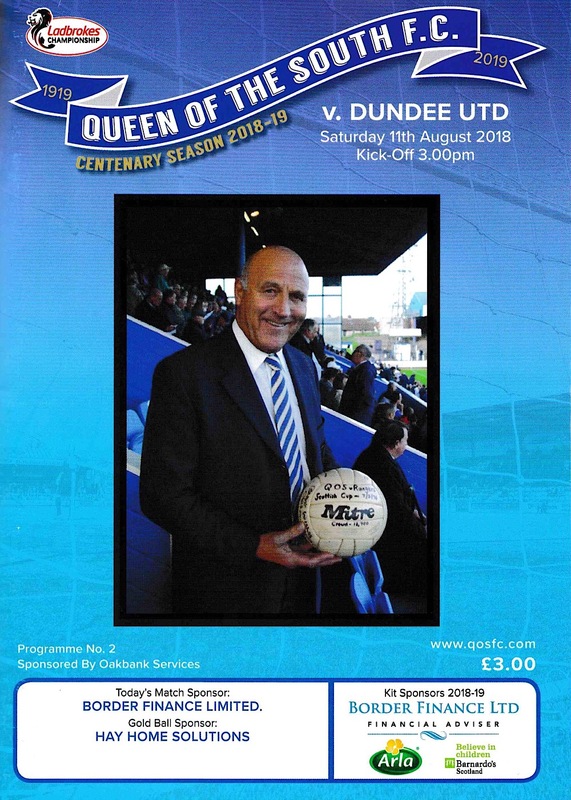 With ten minutes to go Queens had a great chance to level the game from a free kick after Christophe Rabitsch was booked for a foul on Andrew Stirling. The ball was floated into the box and met by the head of Callum Fordyce, who headed the ball across goal. Luckily for United, Jamie Robson was able to clear the ball from almost under his own crossbar. Michael Doyle was then booked for the home side after taking exception to some trickery from Yannick Loemba. The resultant free kick was headed over the bar by Paul Watson. United’s wobbly defence was almost punished again four minutes from time when Matej Rakovan did very well to deal with an underhit passback from Frederic Frans. In stoppage time Rakovan sparked a melee when home players felt he was indulging in a spot of play acting. After the players calmed done the United keeper and Lyndon Dykes were both booked. Despite that, United were able to see the game out for a vital victory, their first of the season.